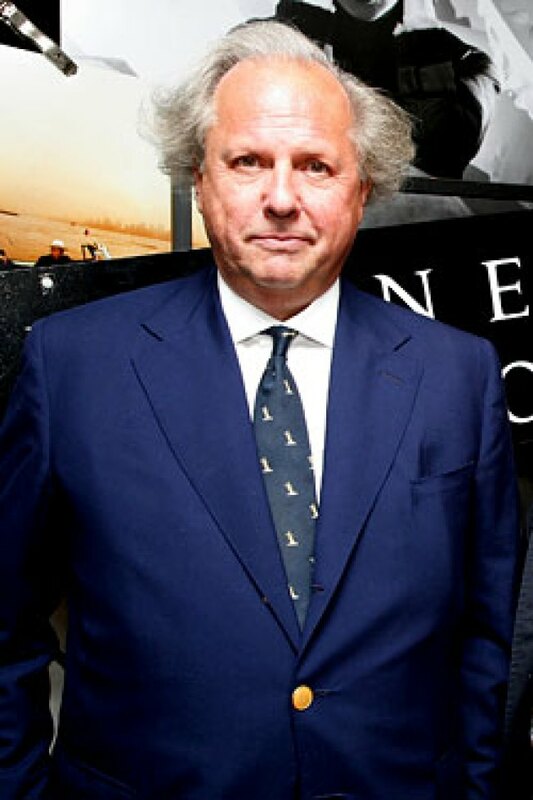 With the news today that the new Greenwich Village High School is backed by Vanity Fair editor Graydon Carter, we got to thinking. Has anyone else noticed that Graydon is creating his own little city-state right underneath our noses? It secretly seeps through the very ground we walk on and air we breathe! We began suspecting this when we watched this "joke" video on VF.com, in which Graydon's adorable new executive assistant receives a welcome gift of a giant painted portrait of the editor in military garb. Foxley walks around the office, only to discover that everyone else in the Carter administration has the same portrait on the wall. It's all very Red Guard and "funny." Now that we know he's going to have influence in the training of a new breed of elite youth, we're beginning to get worried about this burgeoning shadow nation. And you should be, too. Below, we've compiled a slideshow of our evidence.